The design of the pool represents a pool on the River Dee, the pearls represent the gravel on the river bed. Made by master chaser and silversmith, Panos Kirkos, and master polisher, Colin Golder. It is inspired by the River Dee which runs through Balmoral Estate. 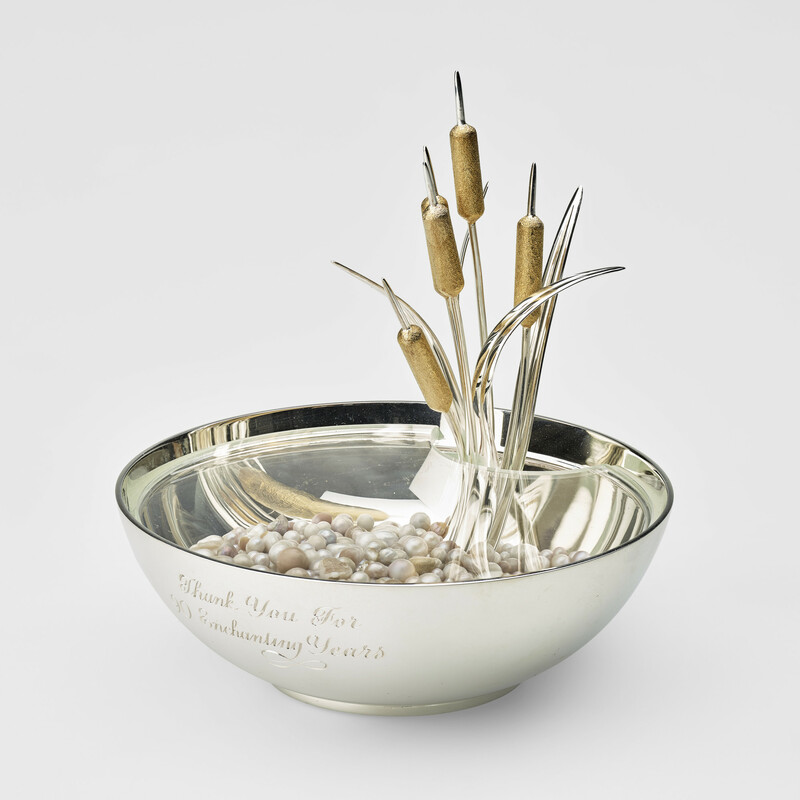 The bowl contains silver gilt bulrushes and is filled with Scottish river pearls, which are found naturally in freshwater oysters.